Keep this checklist in your car so you're prepared in case of an accident. Be prepared. You may download the checklist here to print and keep in your car. First and foremost, call 911. This is particularly critical if anyone is hurt, or even if you suspect someone may be hurt. Exchange information (name, address, phone number, and insurance coverage) with the other driver. The police will get this information as well; however, if you can get it, along with the make/model of their vehicle and license plate number, if they leave the scene before the police get there, you will have the necessary information to find them. Calmly explain to the police what happened. Try not to estimate distances and speeds if you’re not relatively sure of them. Guessing can only hurt you later if a claim is made either on your behalf or against you. If you are injured, or think you are injured, you need to tell the officer. If you tell him or her that you are “alright,” they will put that in their report. If you later find yourself with injuries, it is hard to make a claim if you told the officer on scene that you were fine. Look around. Make a note to yourself about the accident while it is fresh in your mind and you are still on the scene (i.e., sunny or overcast, local business open at the time, construction in area, etc.). Along those lines, if there are witnesses standing around, try to get their contact information or direct the police officer to them when he or she arrives. Do not discuss fault. Most people, particularly nice and courteous people, will apologize for things that are not their fault. For example, if someone came around the aisle at a grocery store and ran into them, they would say “excuse me” or “sorry,” even though it was not their fault. Just refrain from talking to the other driver about the accident or fault altogether. Take pictures if you can. In this day and age, it seems everyone has a cell phone with a camera. Take pictures of the vehicles and the intersection (if applicable). Obviously, do not “stage” any photographs by placing people (or yourself) in the shot. Just take a few simple photographs to show where the vehicles came to rest and where they were damaged. Call your insurance company and report the accident; they will then open a file. Calling them does not necessarily place the accident “on your record” and automatically raise your rates, as many people think. On the contrary, if you do not report the accident to your insurance company, they may be able to avoid all coverages if you later find out the at-fault party was actually uninsured (this can happen even if the other party has a “proof of insurance” card at the scene). You must be open and honest with your insurance company and give them a statement if they request it. Never, under any circumstances, talk to the at-fault party’s insurance company or give them a statement. They are looking for anything that will allow them to deny your claim. ANYTHING! A previous client of mine gave an estimate of 50 feet when asked how far she was from the other driver when she first saw him. 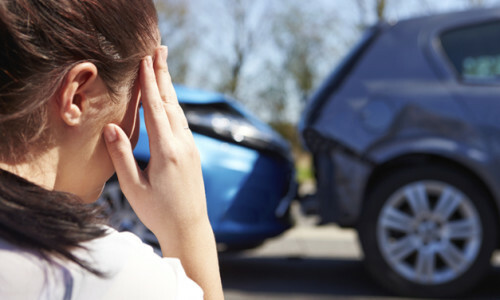 The insurance company denied the claim, stating that even though their insured ran the red light, my client should have been able to stop (at a green light) in time to avoid the accident. Once I became involved, we went to the scene with a tape measure, and the correct distance was 28 feet. At 50 feet away, there was a building that would have obstructed my client’s view. What every adjustor knows is the feet per second/miles per hour ratio. For instance, if you are traveling at 35 mph, you are covering a little over 51 feet per second. Therefore, my client’s mistaken estimate of 50 feet could have been catastrophic had she not sought legal counsel. The moral is: just don’t talk to the at-fault insurance company at all and they can’t twist your words. Always follow your doctor’s orders! If your doctor tells you to stay off work for a few days – do it! Trying to be heroic can backfire later when the insurance company says they are denying your claim because you were “noncompliant” with the doctor by ignoring his or her orders to stay home from work (this really happens). PROTECT YOUR RIGHTS AND CALL JOE DUNN!